Google and Facebook's Duopoly at risk as Amazon sets Sights on Increasing the Ad Revenue this year! HomeNewsGoogle and Facebook's Duopoly at risk as Amazon sets Sights on Increasing the Ad Revenue this year! As if Google and Facebook weren’t dominant enough, the two tech giants have now also taken over the vast majority of advertising market this year. 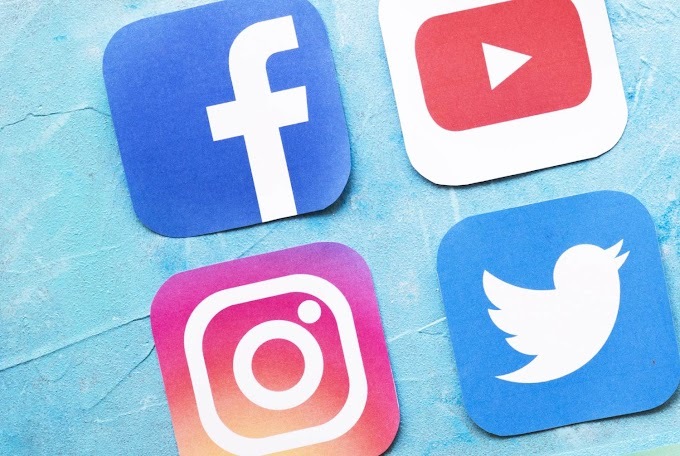 WARC, a research and consulting firm, presented a Global Ad Trends report recently, in which it was clearly evident how rest of the online media owners are losing their grip on the ad market. This year, the duopoly has managed to increase its share to 61.4 percent of all internet advertisement spend, according to the same report. This growth has resulted in almost 7.2 percent decline of the internet Ad spend for others. 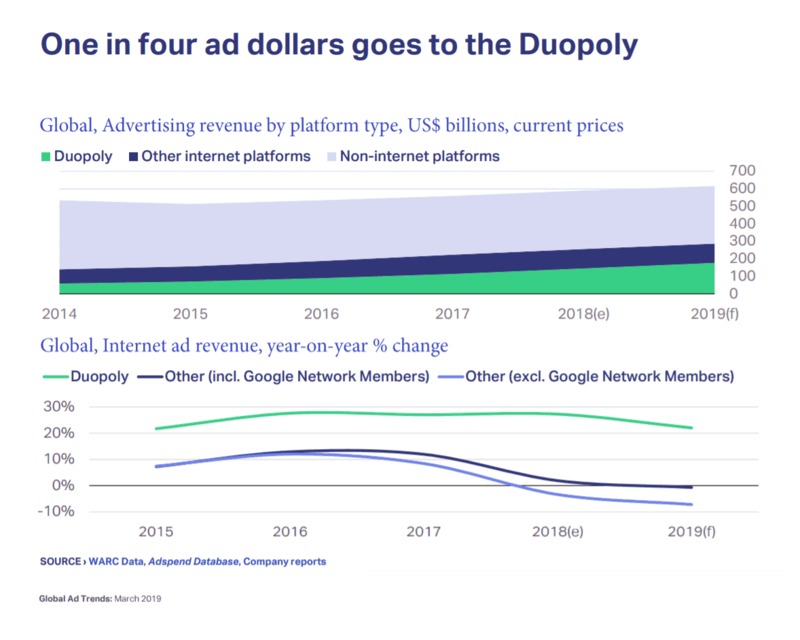 Impressively, the duopoly was also found to have a strong command, when it came to both online and offline Ad spends, with a share of around 29 percent ($176.4 billion). 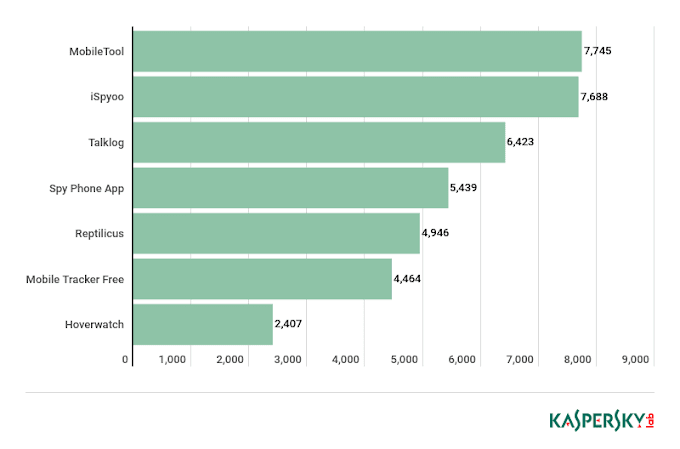 Credit where credit is due, Google and Facebook have a strong control over the Ad market, but it is because of their powerful and effective Ad formats, most prominently paid search and social. Moreover, both companies have made the self-service ad buying tools, incredibly convenient to use for both well-established businesses as well as startups. However, Amazon is not just going to let Google and Facebook take the whole cake. The multinational e-commerce and cloud computing company has made significant improvements to its Ad related functionalities, such as increasing the Sponsored Products’ reach, improving the DSP (demand-side platform) usability, permitting dynamic bidding for Ads of Sponsored Products etc. According to WARC, Amazon is all set to generate $14 billion from advertising this year. Although, this is just a small number in front of Google’s estimated ad revenue this year, the Amazon advertising survey results showed that nearly 70 percent marketers will be looking to increase their Amazon Ad Expenditures this year. Also, Amazon is more than capable of giving Google’s paid search feature a strong competition as it allows retailers to easily link advertisers with the appropriate customers. In addition to that, the smart speakers like Google Home and Amazon’s Alexa haven’t been monetized yet. If it happen, Amazon will likely edge out Google in this field as in addition to being more skillful, 63 percent of smart speaker owners prefer using Amazon’s devices. However, Facebook Watch shouldn’t be counted out yet as the video streaming service was estimated to generate $30 billion last year, without even breaking through. In addition to that, its acquisition of Instagram is also proving to be helpful in this regard now.